Welcome to the official artist website for Mike Shellans: performer, arranger, composer and educator. Here you can listen to music, read about Mike's current endeavors, check out images and review the gear he uses. Please visit this link for information on Mike's career as Professor of Music at Arizona State University. Mike is based in Phoenix, Arizona. Visit often for updates and if you enjoy this site, please recommend mikeshellans.com to a friend. Mike Shellans is available for live and studio performance opportunities as a soloist and/or with various groups. A freelance studio and show trombonist for nearly three decades, Mike now focuses on Jazz piano and keyboards. His most recent musical interests include mandolin, tenor guitar and electric bass. Arranging for various musical groups is not a skill every musician possesses, but Mike is accomplished and prolific at producing creative arrangements. 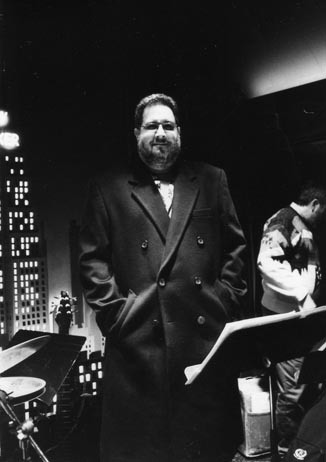 He is particularly adept at Jazz ensemble and Big Band writing, and his portfolio includes lush, inventive treatments of standards and original works. Mike's many original compositions are available for music licensing uses through the American Society of Composers, Authors and Publishers (ASCAP) and Broadcast Music, Inc. (BMI). The eclectic mix of Mike's original works ranges from instrumental Classical and Jazz compositions to Rock and Roll, protest and Pop songs. 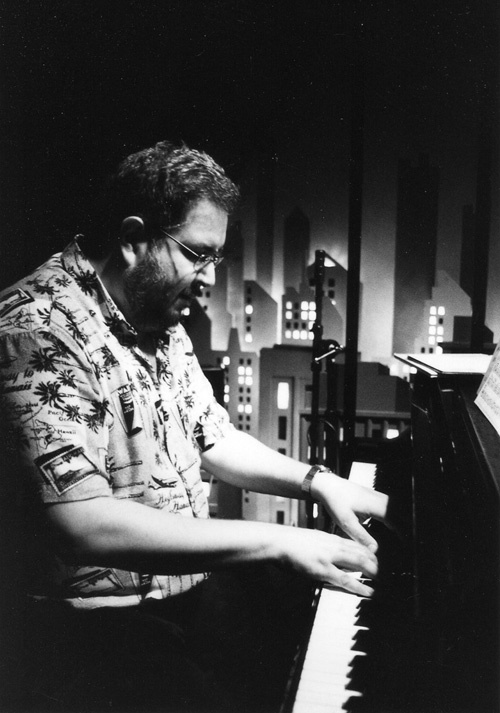 Mike has also composed for children's theater and several stage productions in Tucson and Phoenix. Mike is available as an adjudicator, clinician, guest lecturer and educational consultant, particularly in the fields of Jazz and Popular Music. Mike has served in these capacities numerous times for the Arizona Association of Jazz Educators, elderhostels, libraries, museums and in many public school settings. His lectures are delivered with an easy, charismatic flair and unpretentious style on topics including Big Bands, the Beatles, Elvis Presley, Rock & Roll and Jazz History and Styles. Mike has lectured to over 47,000 students and audience members over the past twenty years. 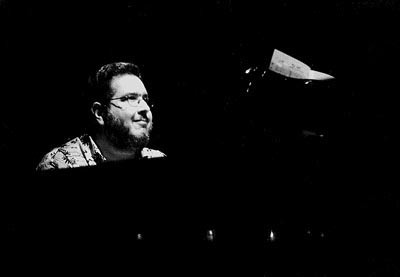 Mike accepts private students at his home studio in the areas of Jazz Piano, Fundamentals of Contemporary Harmony and Theory, Jazz Improvisation and History, and Arranging and Composition. Mike tailors his teaching methods to each student, stressing individuality while emphasizing solid musical fundamentals. Using books, recordings, exercises and demonstrations, Mike sets a relaxed tone in a learning environment filled with humor, encouragement and useful information. Mike is available as a consultant for studio and live musical productions of all types. Please contact him for personal attention to your musical ideas.